Exterior windows and doors shall be kept in working condition and free of broken glass. Boarding-up of windows or doors is prohibited, except to protect the property while repairs are being made. Exterior doors and windows must be equipped with workable locking devices, and must be kept locked except when repairs are being made. Weather protection of all exterior surfaces shall be maintained in good condition, including paint on exterior wood surfaces. 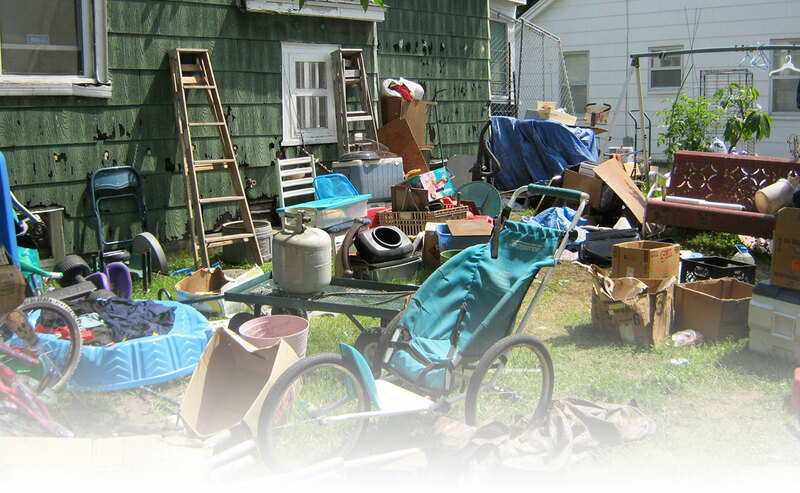 Interior and exterior areas of the property must be kept free of junk, trash, debris or combustible materials. Vegetation and landscaping shall be maintained in good and healthy condition. All parking and driving surfaces shall be maintained in good condition. Maintenance and appearance of the property shall be subject to the requirements of all City ordinances, standards and abatement procedures currently in effect. Ordinance reference: Chapter 5, Article VI. Although most businesses in Duncanville operate from commercially-zoned property, the City’s zoning ordinance does permit certain businesses to be operated from residences. The operation of the business may not generate additional traffic in the street. Common home occupations include such office and professional activities as legal, accounting, data entry, customer service and counseling. Under certain conditions, day care facilities and group homes may function as customary home occupations. To inquire about these requirements, contact Duncanville’s Permit and Inspection Services Department at City Hall, 203 E. Wheatland Road, Duncanville, TX 75116, or by calling 972-780-5040. One of the methods used by the City to maintain property values and the appearance of neighborhoods is the control and prevention of graffiti. Graffiti can be defined as any marking, initial, slogan, drawing, etc. made on a wall, sidewalk or structure without approval of the owner. It is a violation of City ordinance to apply graffiti to any public or private property, and in this regard parents and/or guardians can be held responsible for the conduct of minors under their supervision. It is also a violation for a property owner to fail to remove graffiti after having been notified by the City to do so. A property owner may complete an authorization form allowing the City or its contractor to enter the property and remove graffiti at the City’s expense. The authorization also releases the City from liability for any damage or injury occurring during the process of graffiti removal. If a property owner fails to remove graffiti, or to authorize the City to do so, Municipal Court citations may be issued for each day on which this violation remains unabated. In addition, the City may cause removal of the graffiti, with all costs billed to the property owner or placed as a lien against the property. All vegetation not regularly cultivated and which exceed 12 inches in height is termed “objectionable and unsightly” by City ordinance. Is within 150 feet of any property line which abuts street rights-of-way, alleys, utility easements, subdivided additions, developed property or any buildings or other structures. 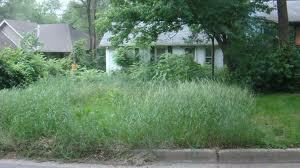 Property owners and/or occupants must also cut and remove such vegetation in areas between front or side property lines and the sidewalk or curb, and adjacent to alley pavements. Minimum overhang of 14 feet above the surface of streets or alleys. Maximum growth encroachment into an alley of 1 foot. Charge the costs of such work to the owner of the property. If the property comes into violation again within 12 months of the date of notice, the City may, without additional notice, take the above measures to bring the property into compliance with ordinance requirements. Ordinance reference: Chapter 12, Article IV. If you see or have information regarding illegal dumping you may call the Permit and Inspection Services Department at 972-780-5040 (weekdays between 8:00 am and 5:00 pm), or the Duncanville Police Department non-emergency dispatch number at 972-223-6111. 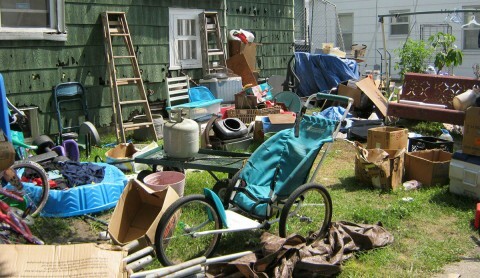 A major part of maintaining the value and appearance of property in the City involves the regulation of objects that may be kept outdoors. For the purposes of these ordinances the term “open storage” is defined as the outside placement of any article not permitted by code for a period in excess of 24 hours. Junk, trash, debris, abandoned, discarded or unused objects or equipment may not be kept, deposited or scattered on any premises in the City. This includes, but is not limited to, furniture, appliances, unused or inoperable vehicles; or any item not customarily stored outside or which is subject to damage or deterioration from exposure to the outside environment. No tractor, truck, bus or other vehicle having a manufacturer’s rated capacity in excess of 1½ tons may be kept in any part of the City, except on properties zoned “Industrial”, “Light Industrial” or “Heavy Industrial”, or when in the process of supervised loading or unloading of goods or passengers. Open storage is prohibited in the front yard of any residential or non-residential property in the City, or in any side yard adjacent to a public street or alley. Landscaping, ornamental structures, plants, statues, bird baths, one barbecue grill or smoker, or lawn furniture made of material that is resistant to damage or deterioration from exposure to the outside elements. Permitted vehicles, including motorized homes or recreational vehicles, when parked on an approved surface, as well as a camper or boat trailer (with boat), when such trailer cannot be parked in the side or back yard. (No other trailer may be parked in a front or side yard.) All such vehicles and/or trailers must display proof of current license or registration. Open storage is not permitted on any vacant lot. Dirt, rock, debris, etc. to be used as fill material may not be kept on any property longer than 30 days unless it is part of a construction project for which the City has issued a permit. Except where specifically allowed, garbage, trash, debris or grass clippings may not be placed on any public property (such as gutters, streets, sidewalks or alleys) or on any private property belonging to another. If a notice of violation has been given to the property owner, the City may take measures to bring the property into compliance with the above requirements, including the removal of junk, trash, illegally stored objects, etc. All expenses connected with such work are charged to the property owner and may be placed as a lien against the property if the owner fails to reimburse the City for expenses incurred. Parking or driving a vehicle on an unimproved surface in the front or side yard of property used for residential purposes is prohibited in the City of Duncanville. Vehicles may be parked on unimproved surfaces in side yards when screened from view by a fence or hedge at least six feet (6”) in height. Must be paved with concrete, properly installed clay fired brick or pavestone, or (only in certain neighborhoods) asphalt. Concrete must be a single, continuous slab of Portland cement concrete poured to a depth of not less than four inches (4”), with a minimum of 3,000 psi compressive strength and reinforcing bar of proper size and spacing. Parking and driving areas must be large enough to accommodate the overall dimensions of any vehicle driven or parked there, and may not consist merely of strips under the wheels. Vehicles may not be driven over a raised curb, nor may they be parked over a curb or on a sidewalk or parkway area. However, parallel parking on City right-of-way adjacent to non-curb-and-gutter streets is permitted in a single row only. Please contact the Permit & Inspection Services Department at 972-780-5040 for explanations of the terms front yard and side yard as used in this ordinance, or for information regarding instances in which parking or driving on unimproved surfaces may be allowed. Ordinance reference: Chapter 12, Article XIV. For the safety of residents, all swimming pools, hot tubs and spas must be properly maintained, and protected from unauthorized or unwanted access, and no swimming pool, hot tub or spa may be constructed without a building permit. Latching device must be attached to the upper quarter of the door or gate. Prevent harborage or breeding places for insects or rodents. No swimming pool, hot tub or spa may remain in violation of any of the above requirements for more than ten (10) days. If violations are found, the City must make every reasonable effort to notify the owner or occupant to make corrections. 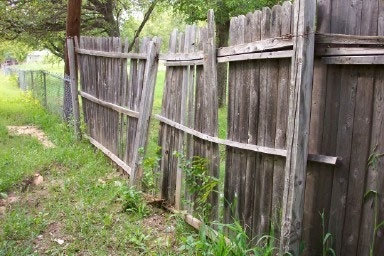 If corrections are not made, the City may cause the property to be brought into compliance with the above requirements. Costs associated with such work will be billed to the property owner, and may be placed as a lien against the property should payment not be made. Except on property zoned “Industrial”, “Light Industrial” or “Heavy Industrial”, it is unlawful to keep or park a tractor, truck, bus, or any vehicle having a manufacturer’s rated capacity of over 1½ tons on private property, except for supervised loading or unloading of goods or passengers. This ordinance is in effect and enforced 24 hours per day, every day of the year. Contact the City’s Permit & Inspection Services Department at 972-780-5040 for information regarding the locations of property zoned “Industrial”, “Light Industrial” or “Heavy Industrial”. Ordinance references: Sections 12-89(2) and 12-92(2). In order to maintain the quality of the City’s stock of residential and commercial buildings, a number of standards have been established dealing with the maintenance and upkeep of structures. Any structure or property that fails to meet these standards may be declared substandard, and subject to the abatement process outlined below. Inadequate sanitation: including improper bathroom or sewer facilities; infestation of insects, rodents or vermin; general dilapidation or improper maintenance. Structural hazards: deteriorated or inadequate foundation, flooring or floor supports, deteriorated, defective or improper wall, ceiling or roof members, defective or deteriorated fireplaces or chimneys. Nuisance: Any nuisance defined by City ordinance, such as illegal open storage, junked vehicles, high grass or fences in disrepair. Hazardous wiring: Any wiring which does not conform to applicable codes in effect at the time of installation, and/or which has not been maintained in good condition or used in a safe manner. Hazardous plumbing: Any plumbing which does not conform to applicable codes in effect at the time of installation, and/or which has not been maintained in good condition and free of cross-connections or siphonage between fixtures. Hazardous mechanical equipment: Any mechanical (i.e. heating, ventilating or air conditioning) equipment which does not conform to applicable codes in effect at the time of installation, and/or which has not been maintained in good and safe condition. Faulty weather protection: Defective, deteriorated or ineffective plaster, paint or exterior weather protection of walls or roof, broken windows or doors, rotten or deteriorated exterior wall or roof coverings. Fire hazard: Any building, equipment or condition that may cause or promote the spread of fire. Faulty materials of construction: Any construction materials not permitted by code, or which have not been maintained in good condition. Hazardous or unsanitary premises: Those premises on which an accumulation of weeds, vegetation, jjunk, dead organic matter, debris, garbage, offal, rat harborages, stagnant water, combustible materials and similar materials or conditions constitute fire, health or safety hazards. Inadequate maintenance: Any building or portion thereof which is determined to be an unsafe building in accordance with the building code. The International Property Maintenance Code also provides general standards for the maintenance of property in the City, including the inside of buildings. This includes accumulations of filth or contamination, the conditions of interior wall or floor coverings, sanitary conditions, etc. Violation of the standards set forth in this code may cause a property to be deemed “unfit for human occupancy”. City ordinance as well as the International Property Maintenance Code allow the City to take steps to correct or remove violations. The City must provide notice to the owner of any property deemed to be substandard or unfit for human occupancy, listing specific conditions that caused it to be so deemed and specifying deadlines by which permits must be obtained for repair or demolition. If the property owner fails to appeal or respond to this notice, the City’s Director of Public Works may schedule a public hearing. After the hearing, the Director will issue a notice requiring that any substandard building/s be repaired, rehabilitated, vacated or demolished. In the event that the building is not repaired as required by the Director’s notice, or the Director finds that the building/s must be demolished, a public hearing will be scheduled in Municipal Court to determine a course of action. If so directed by the Municipal Court, the City may cause the necessary repairs to be made, or may cause the building/s to be demolished. All expenses connected with such work are charged to the property owner and may be placed as a lien against the property if the owner fails to reimburse the City for expenses incurred. All types of refuse must be disposed of at times and in containers and places specified by City ordinance. All customers, both residential and non-residential, must provide approved containers sufficient to hold all garbage and trash normally accumulating on the premises. Containers must be kept securely closed to prevent the scattering of trash or access by insects or rodents. The approved container for residential use is a plastic refuse bag with strength equal to a two-mil rating and not less than 20 nor more than 30 gallons capacity. Trash is collected every Monday and Thursday at addresses on Main Street and west thereof, and every Tuesday and Friday at addresses east of Main Street. Trash must be placed at the pickup point not later than 7:00 am on collection days, and may not be placed outdoors before collection days. Approved containers for commercial or industrial use must be made of plastic or metal with neither less than 10 nor more than 30 gallons capacity. Containers must have tight-fitting covers or lids which must be kept closed at all times except while the containers are being filled or emptied. Trash shall be collected at least twice weekly, and as often as necessary to prevent the accumulation of trash or garbage on the premises. No trash, garbage, debris or other refuse may be placed on or near a commercial refuse container (“dumpster”) without the same being placed inside the dumpster, and the door or lid left securely closed. It is unlawful for anyone to place such items in a commercial dumpster without the permission of the owner or occupant of the property on which the dumpster is located. It shall be unlawful for anyone other than an authorized City employee or contractor to collect, scavenge from or otherwise disturb trash, garbage or other items placed for collection as outlined above. The keeping or depositing on or the scattering over such premises of junk, trash, or debris, or abandoned, discarded or unused objects or equipment. 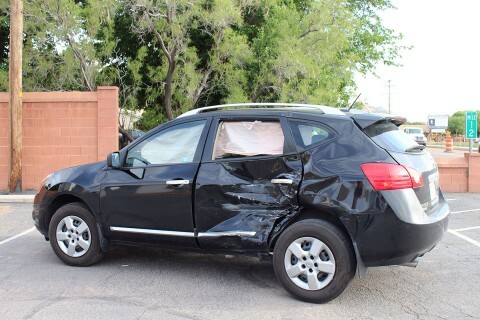 (b) Inoperable and has remained inoperable for more than 72 consecutive hours if the vehicle is on public property, or 30 consecutive days if the vehicle is on private property. Any pool or spa within the city that remains in the condition so as to create a public health or safety hazard, or a nuisance to the general public.